This is a blog, not a daily in a GOP town. Cory lied. To label it misleading is squishy. And why do you keep calling the talkie opinion creatures like Fox & Friends nincompoops and Jeff Crank reporters? yeah, i shouldn't have called them reporters. Gardner was running around saying the same thing everywhere he could possibly say it. So I bet he said it to a real reporter as well. As for saying he lied, i don't care if i'm writing for a blog. i don't use the word unless there's evidence he knew he was delivering falsehoods. in this case, it's an omission, which isn't a lie anyway. but i don't use the L word unless it's provable. Well, if we are going to talk about prior votes, shouldn't Cory mention the December vote when Republicans voted without exception to operate the government without wall funding at all? Look, that was fake news. It had to be, because otherwise the Senate Republicans are complicit in a huge waste of time and a ginormous R embarrassment. Himhimhimhimhim. Who her? Who other? Always him. Only him. 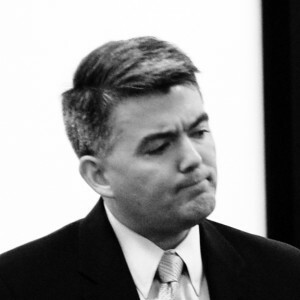 is this the start of the 2020 Senator Gardner disappearing act? Embrace Trump and all things crazy R, draw all negative attention for Colorado Rs, and then at the last minute step aside for some electable R.
they did it for him. Oh yeah, sure MCo . . . Cory Gardner, selfless servant of the party!!!!!!? . . . I know it’s still early, but with that you’re definitely handsdown frontrunner for funniest comment of the year! Trying to think of that electable R..
in this climate, almost impossible unless the Dem candidate collapses Scott-McInnis style. And Trump gets more popular.